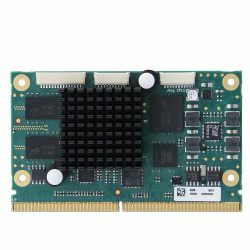 The cost effective, low profile industrial designed EZ-ROJ-1 module integrates an NXP 1,2 GHz CORTEX A9 multi core low-power multimedia application processor with LINUX support ready. EZ-ROJ-1 offers a rich set of interfaces, scalable performances due the availability of four versions, extended operation range and long term availability. A complete host Linux environment “ready to use” is available through a virtual machine disk image for Oracle ™ VM VirtualBox.